A Dunklin County retail location reigns supreme for the third consecutive year in terms of Missouri Lottery sales. “The is the seventh year that Mr. T’s Liquor Store has earned membership into our Million Dollar Club,” said May Scheve Reardon, executive director of the Missouri Lottery. All Missouri Lottery retailers who sell more than $1 million in Lottery product during a given year become members of the annual Million Dollar Club. Mr. T’s Liquor Store, 510 U.S. Highway 412 in Cardwell, has been the Lottery’s top-selling retailer for six of the past seven years. 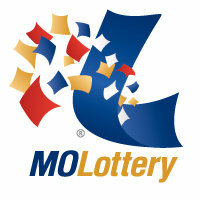 To celebrate, the Missouri Lottery is hosting an on-site customer appreciation event today. Mr. T’s Liquor Store will receive a certificate acknowledging their success, and their customers will have chances to win prizes, too. To date, Lottery sales have generated more than $6 billion for the state and public education, an effort that could not be accomplished without more than 4,600 retail locations statewide. In the most recent fiscal year, public education programs in Dunklin County received more than $389,000 in funding. In 1984, more than 70 percent of Missouri voters approved a lottery. Currently, the Lottery is the sixth-largest source of state income. Since sales started in 1986, the Missouri Lottery has generated more than $6 billion for the state and public education, and annual Lottery proceeds make up approximately 4 percent of the state’s funding for public education. Lottery players have won more than $14 billion in prizes, and retailers have earned more than $1.35 billion in commissions. Each year, the Lottery generates more than $286 million for vital education programs, including A+ scholarships. When you play the Missouri Lottery, you Play It Forward!